85º angle pipe, diameter 120, with clean-out opening, suited for Vilpra chimney pipes. 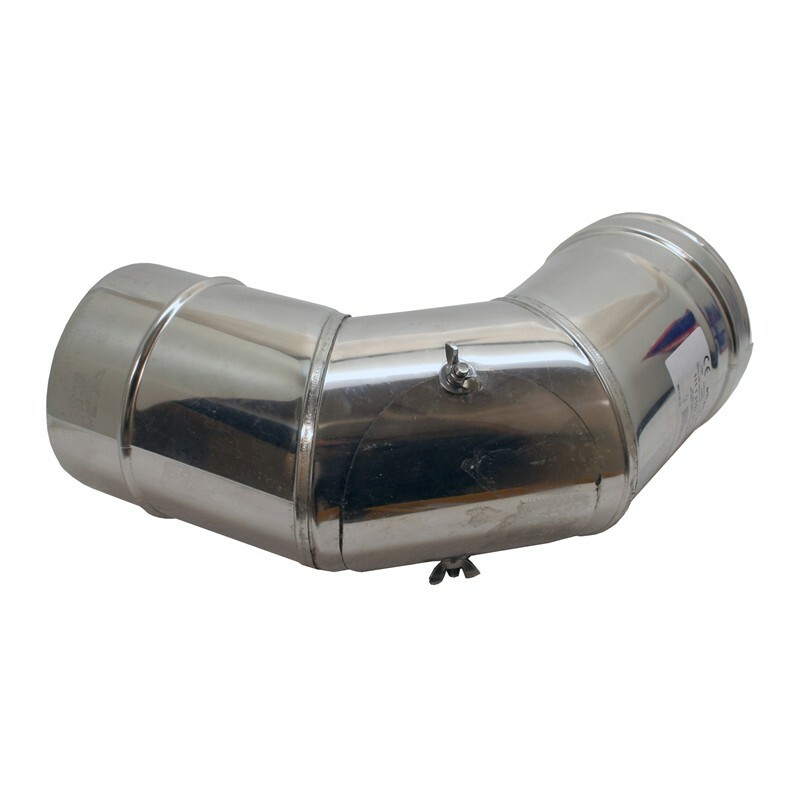 Used when the chimney pipe cannot be assembled directly upwards and must be angled. E.g. under a roof.